Home Politics Kogi Governor, Yahaya Bello Hosts Police Boss, As AIG Pays Courtesy Visit On Him To Intimate Him Of His Readiness To Ensure The Security Of Lives & Properties In The State. 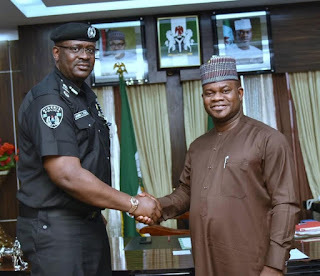 Kogi Governor, Yahaya Bello Hosts Police Boss, As AIG Pays Courtesy Visit On Him To Intimate Him Of His Readiness To Ensure The Security Of Lives & Properties In The State. 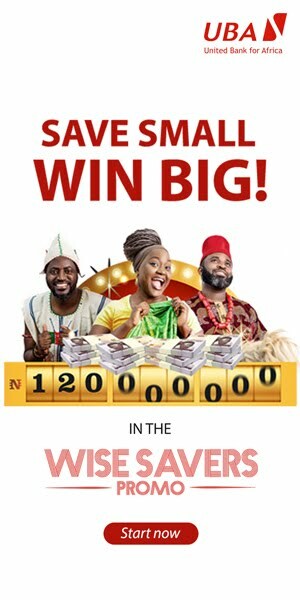 Yahaya Bello and AIG, Ambakina Jitoboh. The new AIG in charge of Zone 8, Moses Ambakina Jitoboh has lauded Kogi State Governor, Alhaji Yahaya Bello for his dedication to ensuring the security of lives and property of the people of the state. 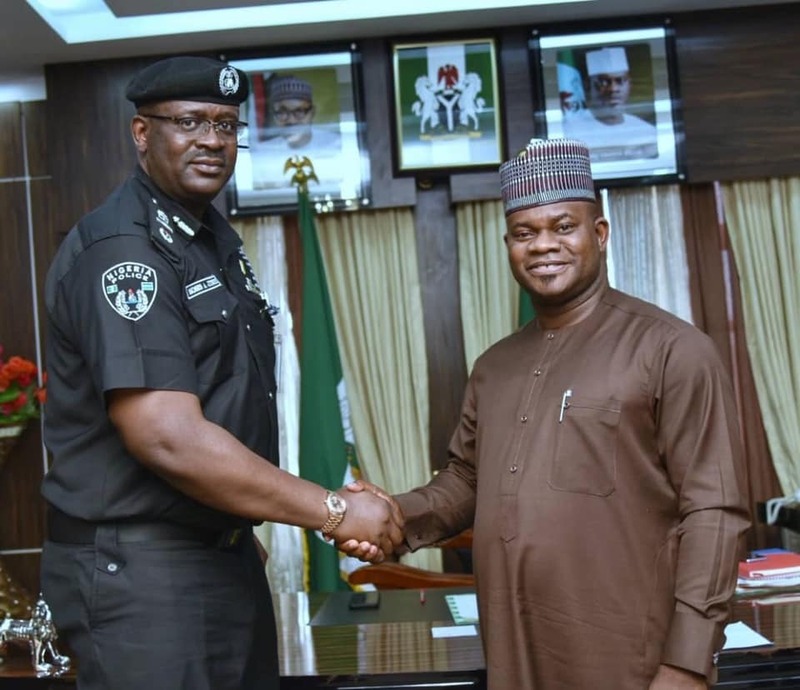 The AIG made the commendation on Tuesday in Lokoja when he paid a courtesy visit on the Governor, saying that the Governor had done excellent in the area of security because the records he saw before did not give for good reading, but that Governor Bello had changed the tide. Jitoboh said he was aware of how armed robbery, kidnapping and other forms of criminality were prevalent in the state in the past, but the story was no longer the same since the assumption of office by Yahaya Bello, whom he added has assisted the force in Kogi in the areas of logistics, according to what the Commissioner of Police in charge of the state told him on arrival and used the opportunity to express his gratitude to the Governor and urged him to continue his support for the Police in not only the state, but the zone for equitable policing across board. 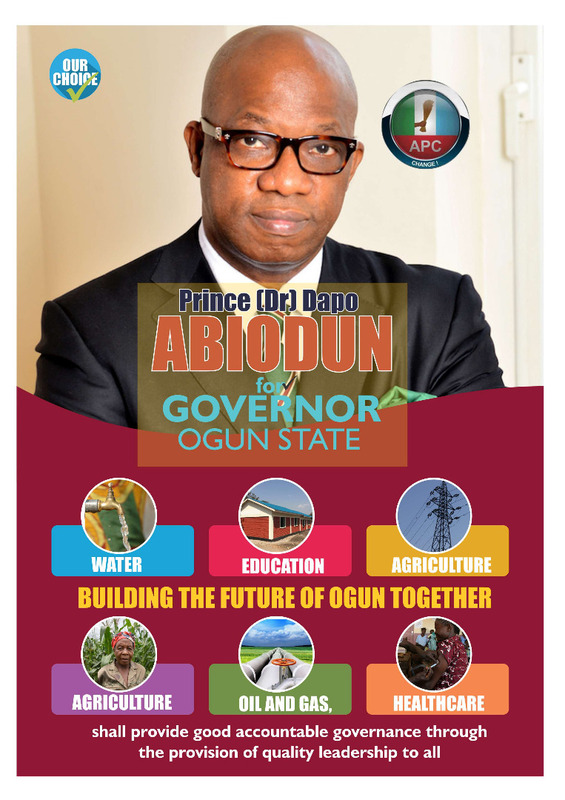 Responding, the Governor expressed appreciation for the coming of the new AIG to the Zone and the state in particular, and reiterated his determination to deepen his relationship with the police. He said that only those who have never suffered security challenging issues before that would not appreciate security, stressing that it was important for all development endeavour to take effect. "Kogi State in the past was known for crimes, the Governor says and I have suffered from the pangs of insecurity before, it is only those who have never suffered it that would not appreciate it. My mother was in the hands of kidnappers for 93 days", so, I know what it means to be insecure. According to Yahaya Bello, on assumption of office, his intention was to ensure security of lives of every citizen of the state and expressed joy with the cooperation his government is enjoying with all the security agencies, which has led to the near zero violence in the last general election in the state, due to the proactiveness of the security agencies in the state led by the Nigerian Police. On the November 2019 Governorship election in the state, the Governor warned that whoever engages thugs and other criminal elements in elections would be made to face the full wrath of the law, irrespective of his social, political or economic standing in the society and commended the current IGP who he said looked very gentle but is highly effective in the discharge of his responsibilities to Nigeria.